Decorate your bed or couch with a cushion case,and augment the unique style of your room in an instant,perfect fit in pillow. Impressive home decoration, merry christmas theme pattern texture. A perfect item to decorate your bedroom, sofa and chairs, cars, patio furniture, and more. A thoughtful gift for your friends, and a nice choice for your home. One new colorful piece can refresh a room. 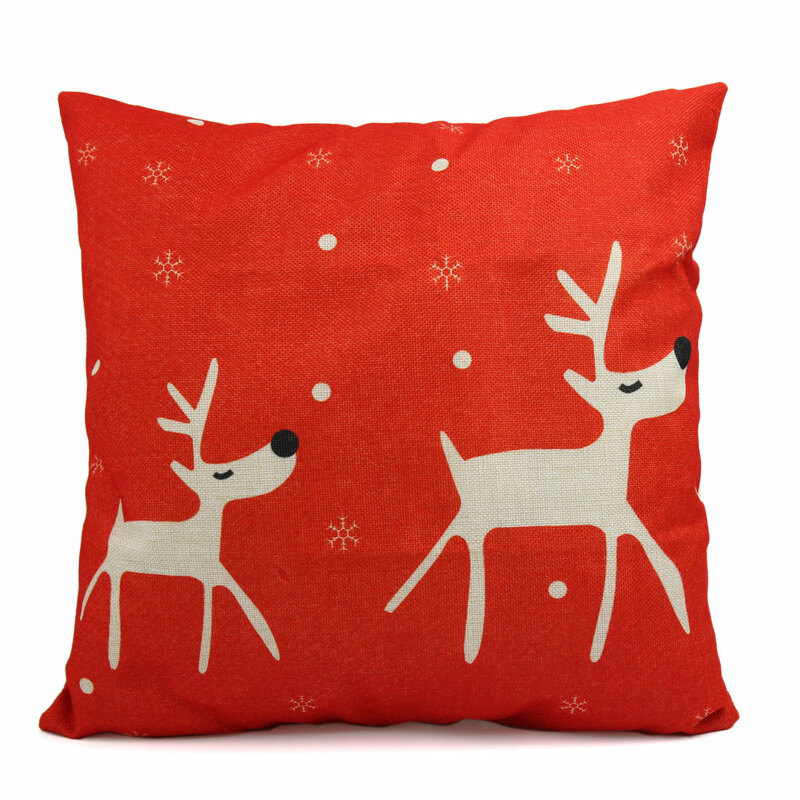 This cushion cover has an invisible zipper and all seams have been overlocked so it is easy to wash.
Best christmas gifts to your friends,family and yourself,it will bring them more surprise and joys. Made of soft durable linen cloth material,the pillow case will add both comfort and style to your home and linen gives you a sense of nature and free . The pillow cover with an invisble zipper is washable and it will be soon. As a case with christmas theme ,it is perfect for christmas decorating ,also a super cute christmas gift for your family and friends,couples, workmates, etc. It is not only very comfortable but also providing a great decoration effect. Create a warm atmosphere for you, and it is suitable for car, home, bedroom, room, office, coffee shop, etc. Note:Single side printed, pillow filler is not included. Please allow a little deviation in terms of color or size, thank you for your understanding.